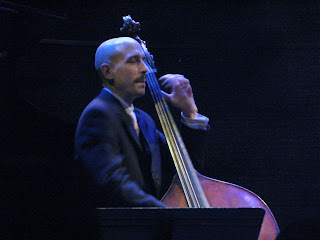 I've seen bassist Palombi play many times with Curtis Stigers, both here and in NYC at IAJE. He recently left that band and showed up at the Dakota with the Terell Stafford Quintet. We went for both nights and hung out after at the Local on the second night, where I offered to make Palombi a hat. Tim Warfield could probably use one, too, but I didn't get a chance to speak with him. 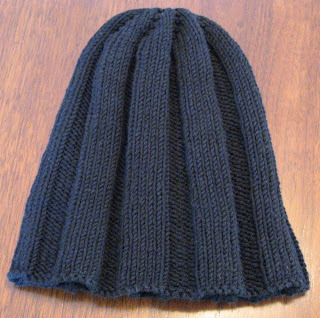 This is becoming the signature Hats-for-Cats hat; it's the same one (different color) I made for Joe Doermann and the one I'll be making for three members of Irvin Mayfield's band. 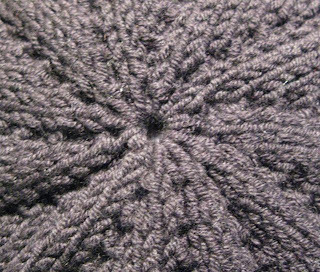 Because it's ribbed, it fits most heads; because it's cotton, it doesn't itch. Hi Pamela, I just got a Google alert with this URL today- coincidentally the same day that I received the hat. Man, it's great! I love it! I'll be sure to send you a photo soon.